All it took was a little persuasion — and public relations-oriented shaming. The Today Show will now allow gay couples to compete to be married on the show. What changed NBC's minds exactly? According to the AP, NBC also got thousands of calls to action through GLAAD's site. Who said a little complaining never got you anywhere? 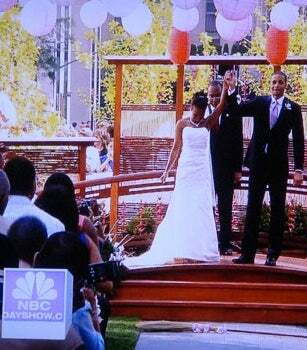 Now it can get you a little closer to a crowdsourced wedding on morning television. Now let's see if any gay couple makes the cut.